I’ve got quite an expensive hobby at the moment - keyboards. Basically the above keyboard but without the numberpad. This is my longest serving board and up until a few weeks ago was in active service. It’s now waiting to be cleaned and pieced back together before I hand it over to my Dad. 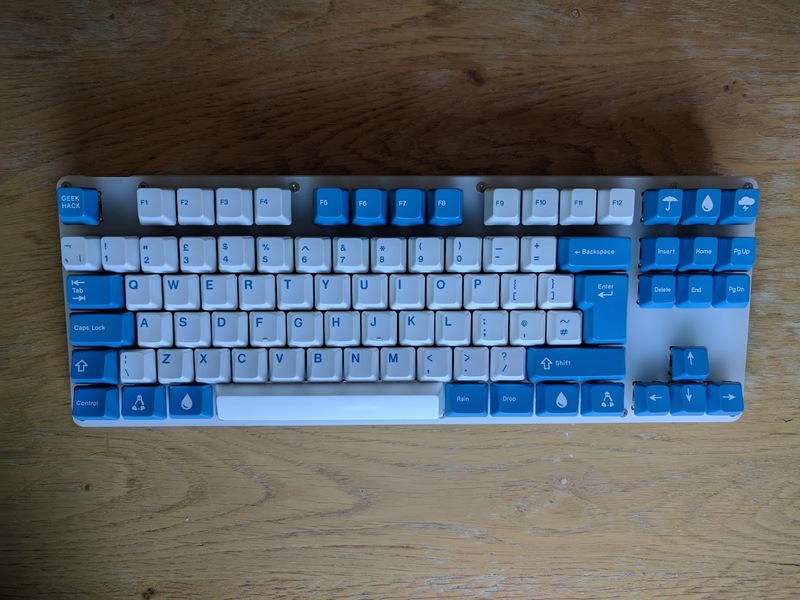 Overall I’m really pleased with this board, it’s solid and well built, the keycaps are a bit crap but I replaced those with Raindrop (pictures further down). The LEDs on my board were fine considering Ducky had quite a few quality control issues down the line. It has some neet features, including different LED modes (mine was the white edition), gimmicky but I liked them. It’s a bit of a hybrid monster, a 60% but with a arrow keys, the none standard layout made it really difficult to use and in the end I sold it to a friend. I quickly learnt that having short shifts was really annoying. I learnt my lessons with the Pro so grabbed a Poker 2, overall a solid board but the function key and arrow combition made my fingers hurt after a while so it got retired pretty quickly. The keycaps on this board are PBT which are amazing, they have a really satisfying clack to them (not pictured). Plus my version was white so they looked quite different to most boards. This is also my first ANSI board (American), note the horizontal enter key and different size shift keys. 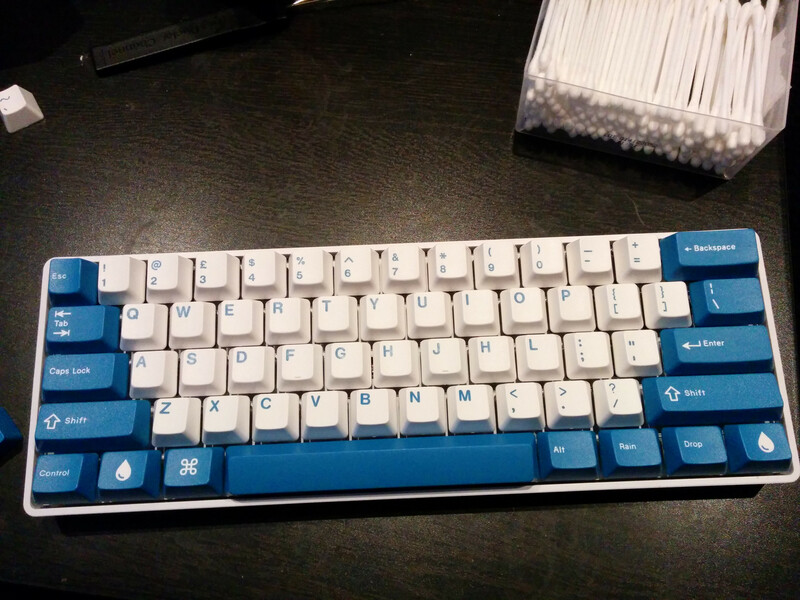 I considered moving to ANSI for a while since keycap sets are easier to find and the boards are a bit cheaper as well. I couldn’t get used to the enter key though so I’ll be ISO for life. This was my first foray into custom building. It’s GON NERD 60 shipped all the way from Korea. The PCB was pre-soldiered making things a lot easier I just had to install the Gateron Brown switches and flash the firmware. The custom firmware made things a lot easier, having configurable layers meant that I could map CAPS to FN so I could operate the arrow keys bound to WASD with one hand. This was the first board with LED backlighting, I have it disabled by default because I damanged one of the surface mount LEDs so it flickers which is really annoying, it’s a shame because the case is frosted acrylic so the shine-through was quite nice. Since sourcing Cherry MX Browns is pretty much impossible I opted for Gateron Browns which are a slightly more resistant (higher actuation) clone. They’re nice switches and relatively cheap. The stabalisers are Cherry which are frankly appaling, it’s like pressing mushy plastic. I really wish I’d modded them before adding them to the board. Overall this board (without keycaps) cost me around £250. I have a small build log here. This is my latest and greatest creation and my current daily driver. I considered this end game for me (for about a week or so). 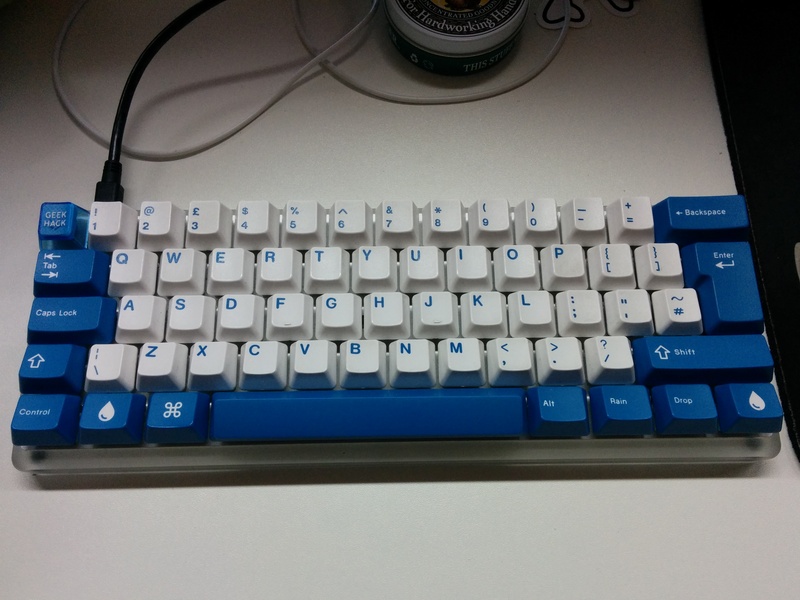 I bought the parts (fully soldiered) form Winkeyless another Korean company (they love custom keyboards!). Again I opted for Gateron Browns since I’ve grown quite attached to them and they’re cheap. If I use them again I’m going to get some lubricant for the stems. 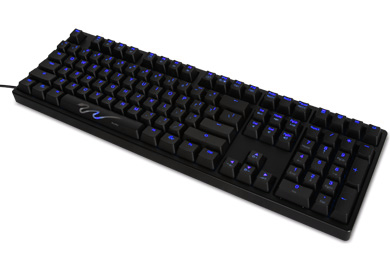 This keyboard has white in switch LEDs with RGB backlighting. The case is frosted acrylic so the lights shine through really well. One of my main issues with this board is the same as the NERD60 the stabalisers are horrible, my backspace key squeeks which is horrible! Because they’re PCB mounted stabalisers removing them to mod them would mean desoldering all the LEDs and switches first, something I’m really not keen on doing because of a couple of issues I had while building the board. This board also has customisable firmware, it’s a bit harder to use than the NERD60s since the instructions are in Korean and uses the column/row notation for keymapping. Thankfully google translate and a few other blog posts around the net have some decent instructions. I have a lot of the RGB functions bound to a second layer which is activated by CAPS key (FN in this case). A build log for this can be found here. 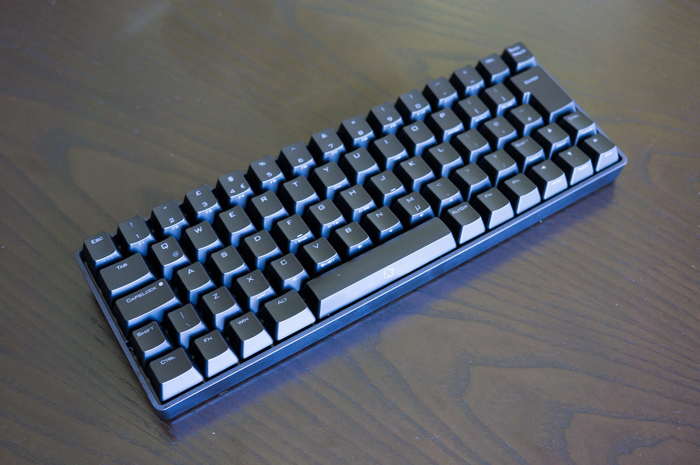 I started to design my own keyboard but ended up with something similar to this so I decided to order the parts for this build. I’ll be posting a full build log of this when everything arrives. Zealios 62g - apparently these are the most amazing switches ever so I’m looking forward to trying them out. They’re 62g tactile no click switches with supposed amazing build qualit. No stabalisers, screw you cherry no more mushy key presses! Split halfs so I can move them around based on my hand orientation. Ability to “tent” the boards so they’re more ergonomic. Needless to say I’m hoping this to be my last board for a while. If your interested in buying my NERD60 then get in touch it needs a good home.